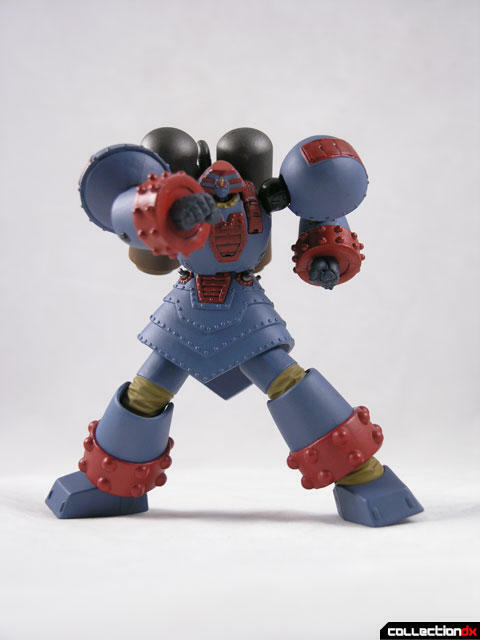 to the main designer of the revoltech series, Katsuhisa Yamaguchi. 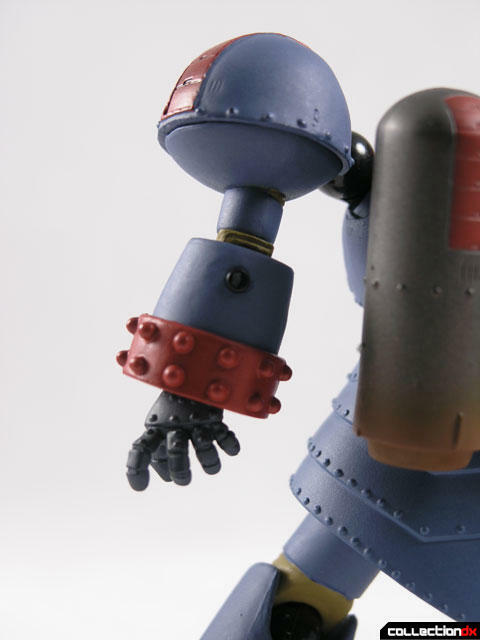 Giant Robo stands 5 inches tall and features a whopping 14 Revoltech joints. 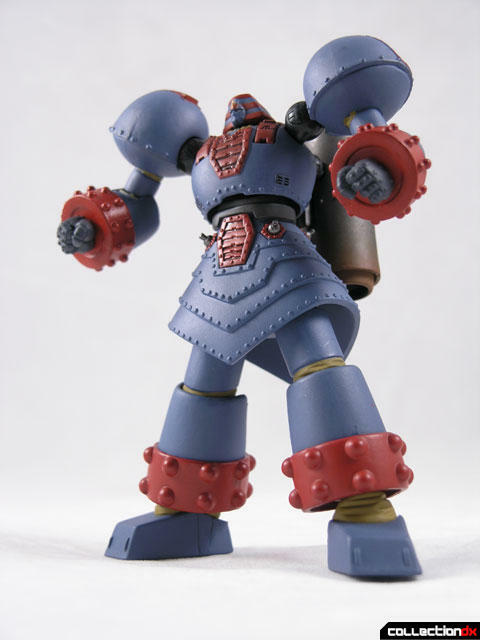 a Revoltech joint, which in my opinion, is pretty sweet. is even. 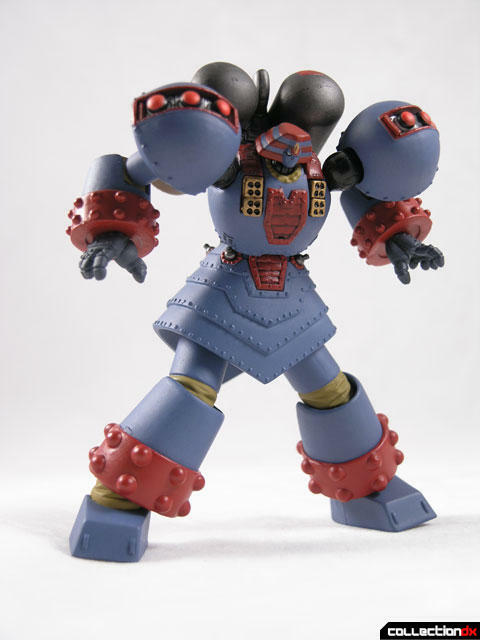 Kaiyodo has really refined the Revoltech process since the line began. 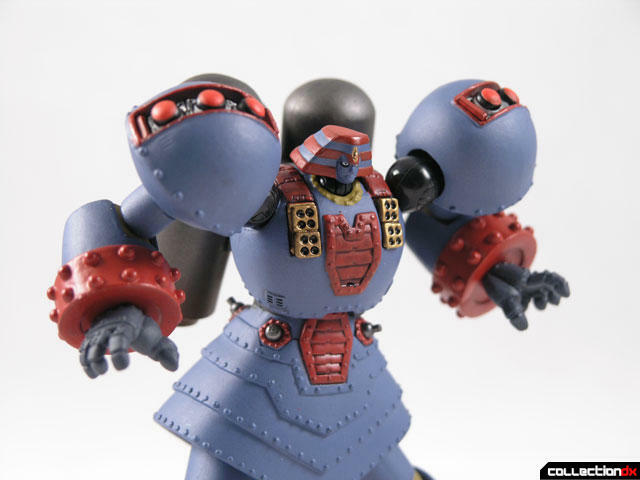 The figure comes with 2 variant hands - that's it. No stand, no extra weapons. it had missile banks! They are hidden by a unique system of panel swapping. to reveal the missile launchers! That is very cool, and unexpected. it still stinks that you have to buy both figures to get those parts. stick out of the forearm and look ugly. 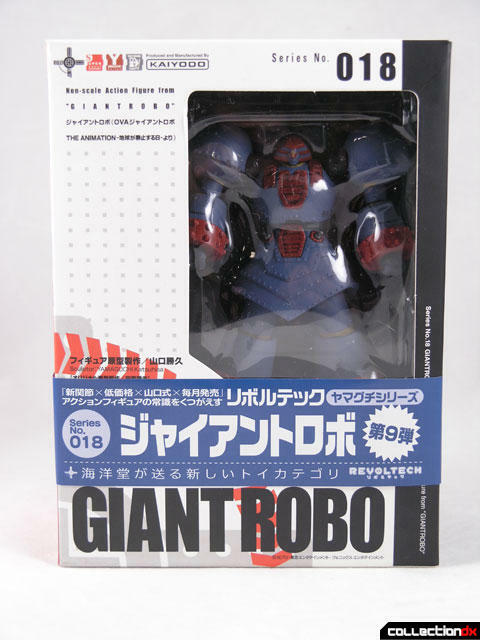 Giant Robo is available from Hobby Link Japan. Those shoulder plates break easily on the ends. Try to pry up both sides together and lift straight off. The first one I removed broke the end off. 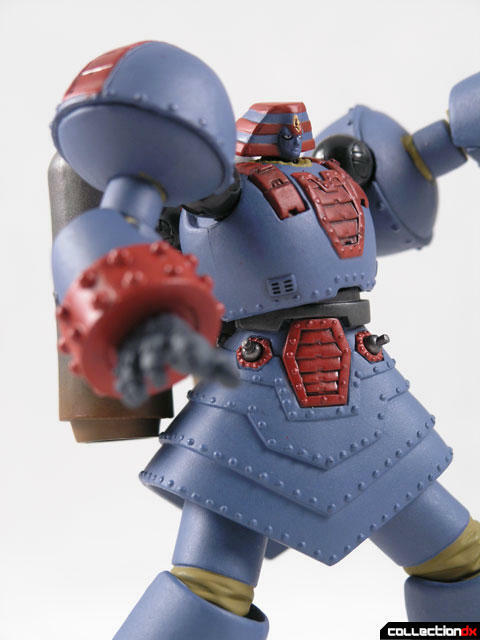 Personally, I don't think the missile launchers add that much to the look of the figure; the "hide inside" gimmick means that they can't stick out very far, so they don't have that Turn It Up To ELEVEN aesthetic we've come to expect in Revoltech. 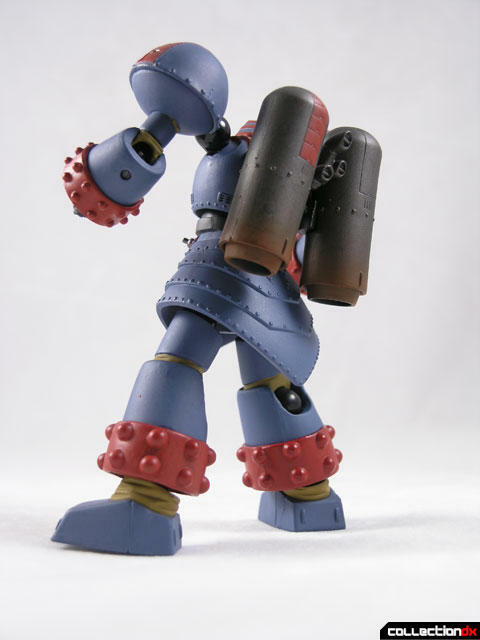 They are made to simply appear that the panels have slid open to reveal the rocket batteries in the shoulders. I don't think that these would ever really "stick out". I like mine just fine this way as it is more accurate.